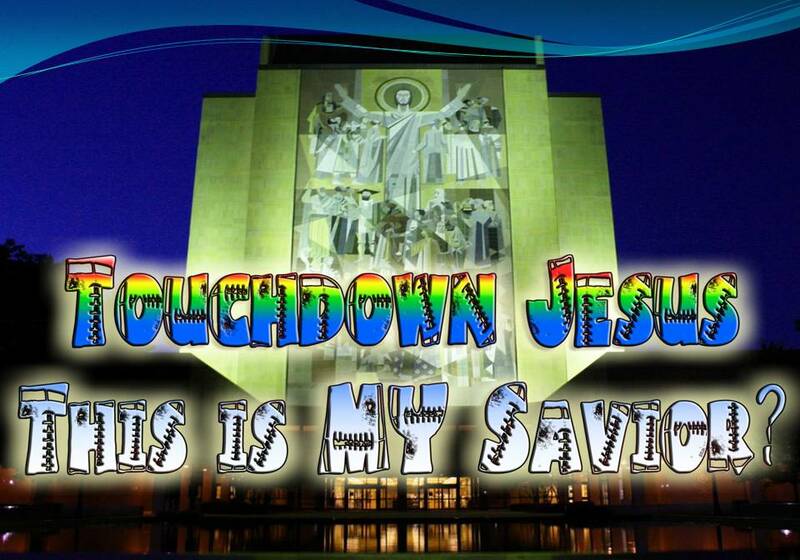 Touchdown Jesus – This is My Savior? 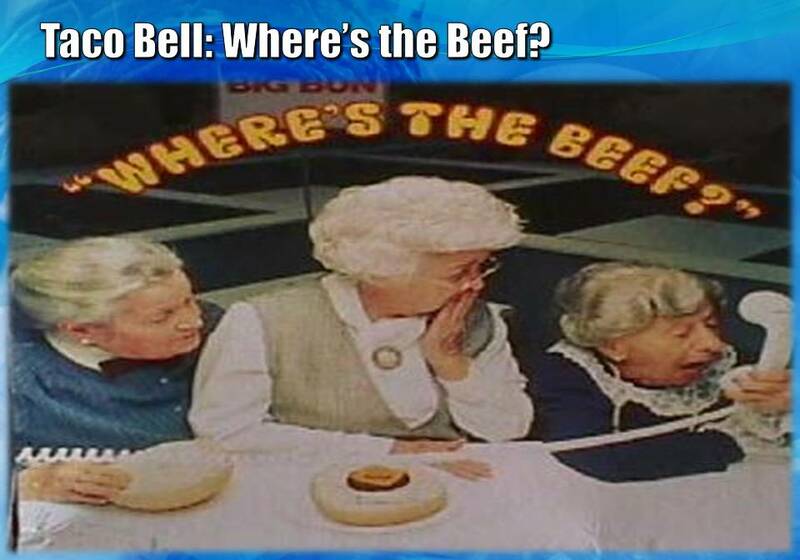 An Alabama law firm is suing Taco Bell, saying that they are falsely advertising ‘beef’ products. The meat mixture sold by Taco Bell restaurants contains binders and extenders and does not meet the minimum requirements set by the U.S. Department of Agriculture to be labeled as “beef”, according to the legal complaint. Attorney Dee Miles said attorneys had Taco Bell’s “meat mixture” tested and found it contained less that 35 percent beef. The question I want to look at over the next few weeks involves our belief in Jesus Christ, and who we believe Him to be. The question we must ask ourselves is how much of the real Jesus do you have to have to be a true born again Christ follower. I believe that some Christians are following only 35% or 50% of the real Jesus. It does not mean you violated God’s Law, it means you want your own way; you were living and serving for your benefit. You thought Jesus would be happy with what you did, but you did not understand the real Jesus. You never gave your life to the real Jesus. You never even saw the real Jesus, so it is no wonder that He did not know you. Jesus was pointing out that the proof of real worship is your obedience in your everyday lives. Anyone can go to church, anyone can be baptized, but to Jesus, the proof of your Christianity is the change in your heart that produces obedient living no matter the cost to our convenience. 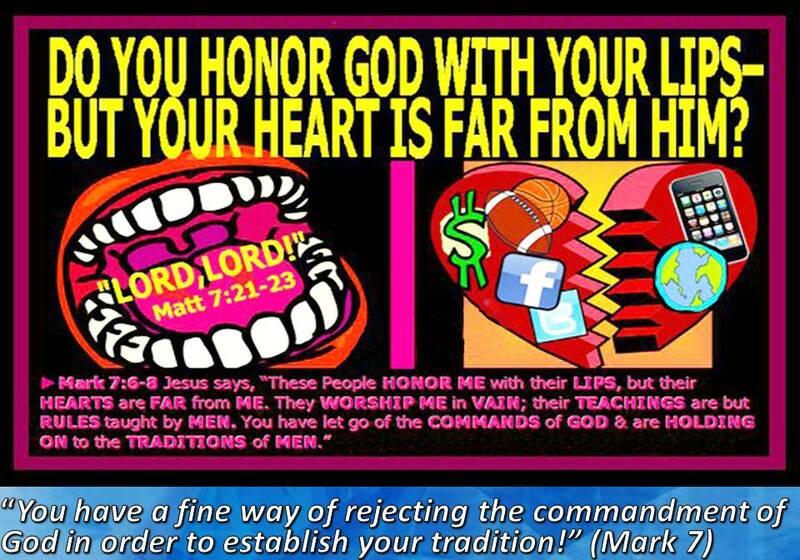 The Pharisees obeyed God, but if they had to choose between obeying God and their convenience of profit, they would overrule the command of God with some fabricated tradition or false practice. The one example given regards the command to honor your father and mother. With Jesus, words are not enough, and a show of obedience is not enough. To cut off what is not one’s own, or in the slang of our day, to take a “rip-off”, thus to be greedy, covetous. Personal advantage derived from some activity. Used largely in the negative sense, as in the case of the racketeer who takes his “cut” from the profits of an otherwise legitimate business. 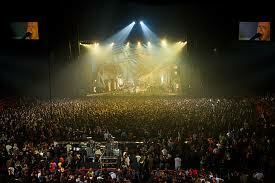 People want the show and the spiritual experience as long as it is entertaining and moving. But if it requires a change in the way they live their lives, no, that’s too extreme for me. Just as a con man plays people for a “rip-off” for personal gain, so do many ‘Christians’ slice and dice the Real Jesus down to someone they can tolerate in their personal lives. They do so for their personal gain. Peter Answers: “You are the Christ, the Son of the living God”. Jesus responds: “On this rock I will build my church”. Jesus indicates that who we believe Jesus is will determine how solidly our church is built! As a Pastor, the greatest error or sin I can commit is to preach a false salvation, a false or incomplete Jesus. I must preach Jesus Christ without compromise, without watering Him down, without mixing man’s ideas with who Jesus Christ really is! I do not want anyone to be surprised when they meet Jesus. I want Him to know you, because you knew the real Jesus. You gave your heart to the Real Jesus. We are to teach others to observe ALL that He commanded us! Observe is not a passive word, like a bystander. It involves 100% attention, it means to “keep your eyes fixed upon”. It draws the picture of a prison guard or warden who must constantly watch a vicious killer. If you take your eyes off him, he could escape and kill you. We are to have that attitude not just toward the commands we like, or can gain from, or fit into our lifestyle. 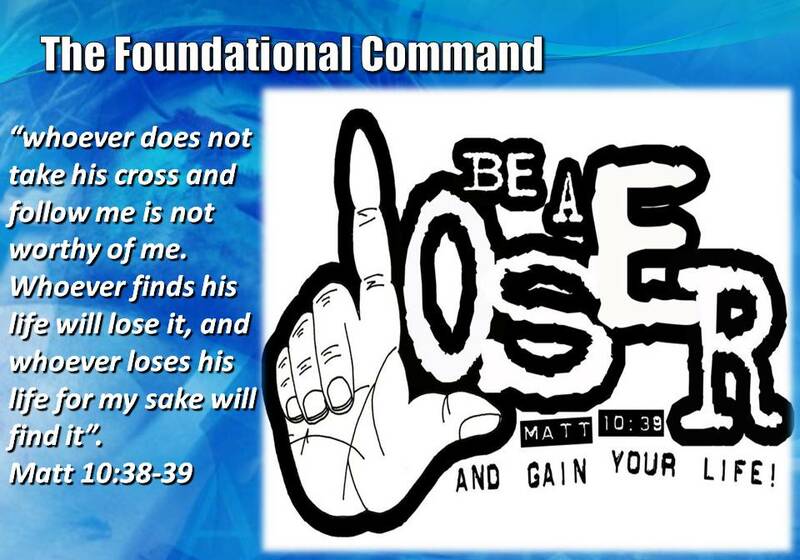 We are to observe ALL the commands of Christ as if our life depended upon it. Are you like Ricky Bobby, praying to baby Jesus? Or are you like so many football fans, following Touchdown Jesus? You know the one, the one who gives you victory. 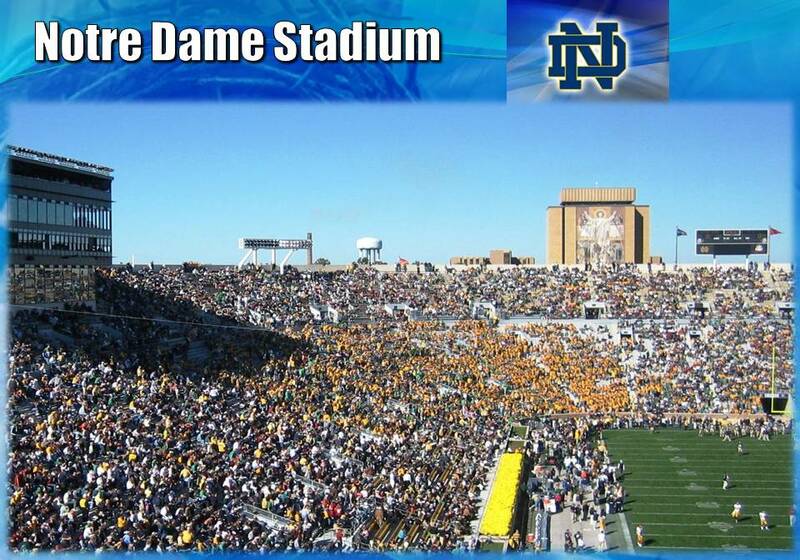 The fans of Notre Dame Football love their team. Win or Lose Notre Dame is followed by fans around the world. At one end zone, just above the stadium seats, you can catch a glimpse of Touchdown Jesus. He is atop a huge stain glass mural. His arms are raised as if to signal a touchdown. Before they added more seats at that end, he was clearly seen by the entire stadium. That is the Jesus most of us worship. Upraised arms, stepping forth from the tomb, rising in the air, standing at the right hand of the Father, coming back in the air, riding on a white horse, ruling on the throne of David! Touchdown Jesus! He’s a winner, He’s a conqueror! He’s the victor! He’s the ‘hero of the world’! He’s my hero! and he will make me a hero too! This is where we start to fold in our ideas and our traditions with the Jesus Christ of God’s Word. Somehow, Jesus has become more about me than about a Sovereign God! We like the Touchdown Jesus because he is the winner, and we all want to be winners. We are taught that from our crib. We boast about when our baby started crawling, started walking, started talking, how smart they are, what grades they get, how well they play this sport, how well they excel at this activity. We want our kids to be winners! Therefore, we like Touchdown Jesus. He is a winner that fits nicely with our ideas of life in America. Michael Jordan was arguably the greatest basketball player to play the sport. When he retired, the owner of the Chicago Bulls, Jerry Reinsdorf said, “He’s living the American Dream”. Someone defined the American Dream as “reaching a point in your life where you don’t have to do anything you don’t want to do and can do everything that you want to do”. 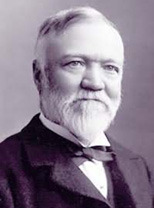 James Truslow Adams defined it as “a dream… in which each man and each woman shall be able to attain the fullest stature of which they are innately capable, and be recognized by others for what they are”. 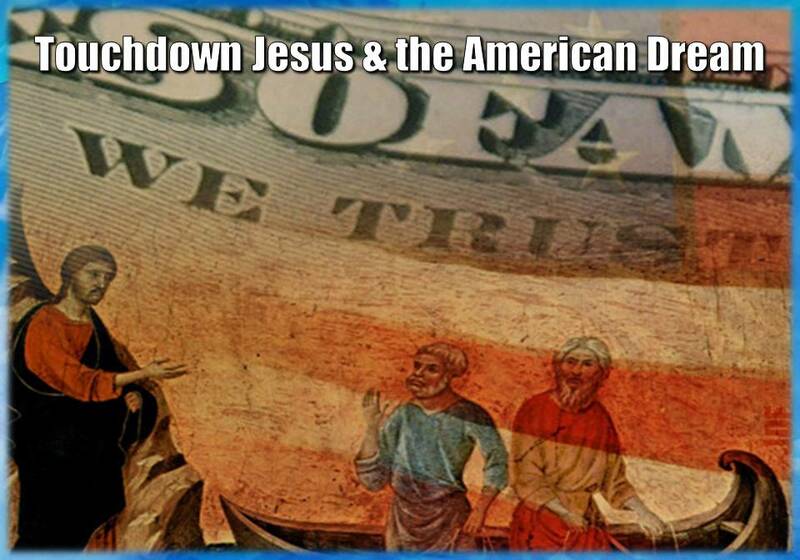 I believe that many American Christians have made Jesus Christ into a Jesus that fits nicely into our “Touchdown” mentality, our “American Dream” mentality. We are guilty of being like the Jews in Ezekiel’s days, turning God into someone we are comfortable with, as long as he is good for us, and fits in with our desires for success and wealth. 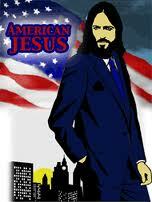 We like a nice middle-class American Jesus. A Jesus who doesn’t mind materialism and would never tell us to do something ridiculous like give away our wealth, or stop saving for retirement. We want a practical, realistic Jesus, one who understands the pressures of life, accepts nominal devotion, and is considerate of our need for creature comforts. We want a balanced Jesus, a Jesus who wants us to avoid outrageous extremes, and who for that matter wants us to avoid danger altogether. The foundational commmand of a true follower of Jesus Christ is to ‘destroy’ your life. Jesus said you are not worthy of following HIM unless you are willing to take your cross and have your life destroyed (‘apollymi’ in Matthew 10:39). You can live this life following the dream, gaining as much as you can, but you will wake up in the reality of eternal destruction. Or you can be willing to take up your cross and have your ‘life’ destroyed in total abandon to Jesus and wake up in the reality and beauty of His presence. The goal of the Christian American dream is to make much of us, to follow a Touchdown Jesus, a winner, who we can point to when we make our goal! However, the real Jesus has different priorities. Instead of encouraging our self-fulfillment, he confronts us with our inability to accomplish anything of value apart from God. He says if we want to be great, we must become a servant! Instead of wanting us to be recognized by others, he commands us to die to ourselves and seek the glory of God above everything. The goal of the gospel of the real Jesus Christ is to make the MOST of God. And the LEAST of us! I encourage you to read the book Radical. It will shake your Christianity to its core. 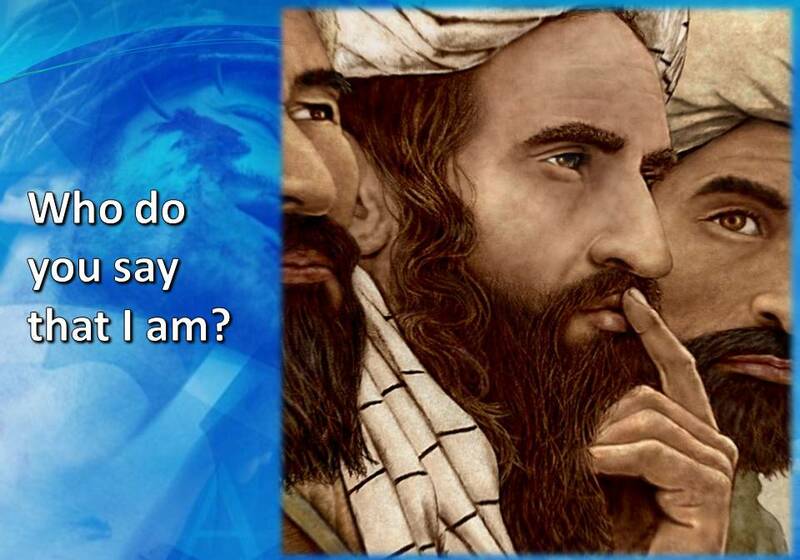 Peter gave the right answer, but denied Jesus Christ. He gave up on Jesus, and went fishing. You can know the right answer, but deny Jesus Christ in your life, because you honor Him with your lips, but not your heart and life. The goal of this sermon series is to hold forth the real Jesus Christ, and to encourage each of us to observe all that He commands, without being watered down by our conveniences, our conceptions, our priorities. My prayer is that our lives, our goals, our walk, our priorities will be a clear reflection of the real Jesus Christ. 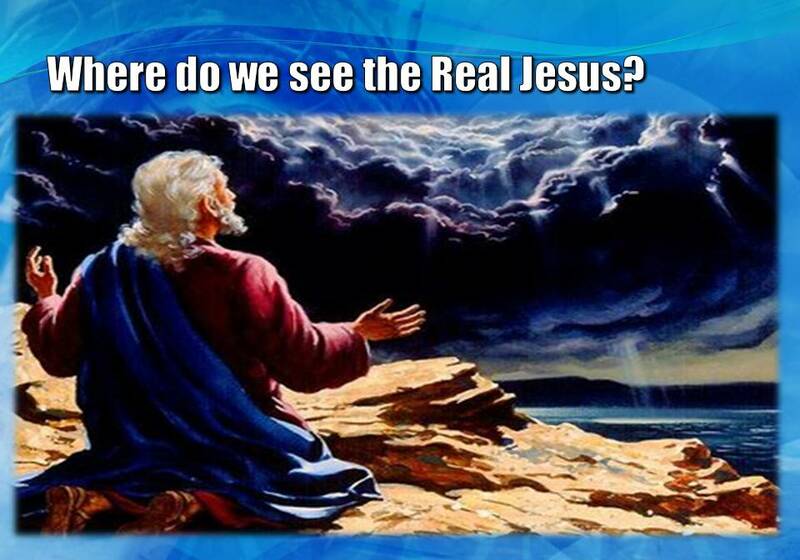 Where do we SEE the Real Jesus Christ? 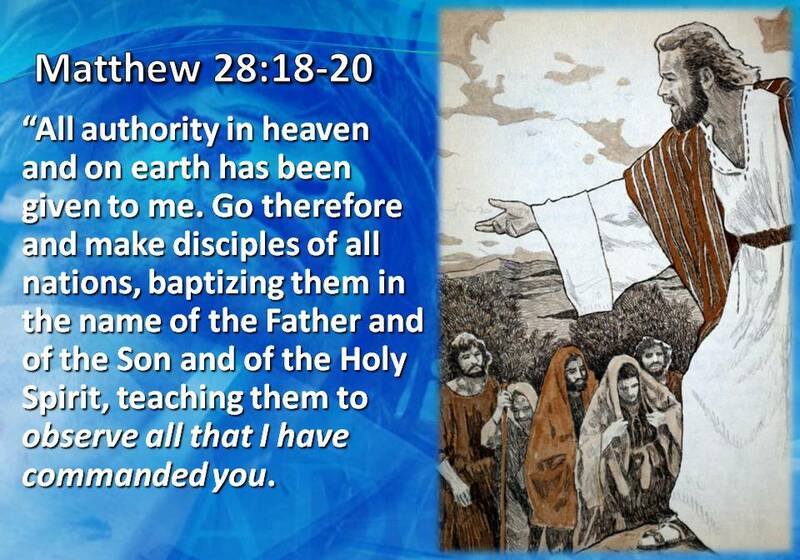 The Bible School ‘skinny’ on the Gospels is that Matthew presents Messiah Jesus, Mark presents Servant Jesus, Luke presents King Jesus, John presents Divine Jesus. But there is one book we often overlook as representing the Gospel of the Real Jesus. It is the book of Revelation. There we find two things: What was needed for John to see the real Jesus, and second, what happened when he saw the real Jesus. John was in the Spirit (10). He was under the influence and control of God’s Holy Spirit. Moreover, to see the real Jesus, we must be under control of the Holy Spirit. He is the one who reveals Jesus to us. That is His delight and Joy! When John saw the real Jesus, he fell at his feet as though dead (17). The Jesus that John saw was not the Jesus that John thought he knew, had touched, and had spoken to. When he saw the real Jesus, John was deeply affected. He was shaken to the core of his being. He was emotionally, physically and mentally overwhelmed to the point of swooning and passing out. Was he overcome with a sense of failure, a sense of awe, a sense of fear, a sense of shortcomings in being like Him? Yes, all of these. Bottom line, however, when our heart and eyes are opened to see the real Jesus, we are knocked down from the platform of our comfortable life and laid out in the dust of our lives. It is just like Saul on the road to Damascus. 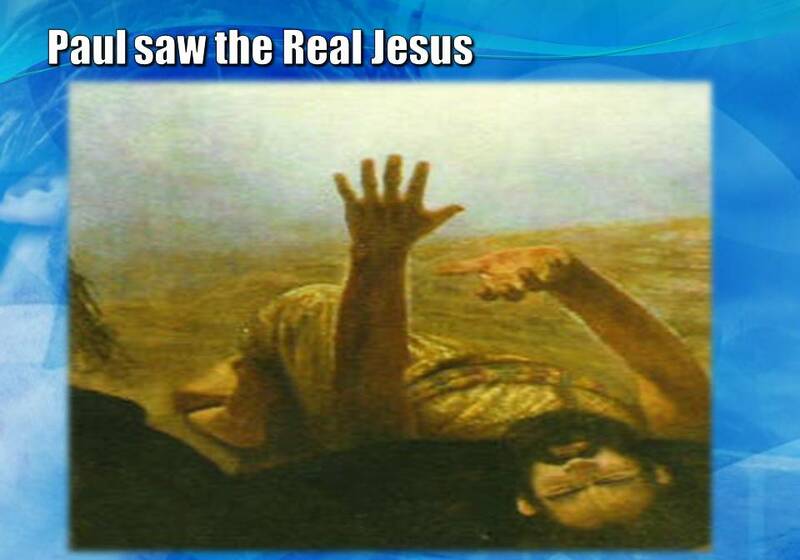 He saw the real Jesus, and He fell to the ground. His life, his priorities, his goals were forever changed. When we see the real Jesus, we will know it, and we will be changed. Our priorities will change. Our goals will change. Understand that the foundational motivation of Jesus Christ was divine love. That divine love moved the Son of God to do what He had to to free us from our sins. It cost Him His blood, His life, but in return, He made us a kingdom, He made us priests for His Father, and it brought Him Kingship and dominion. 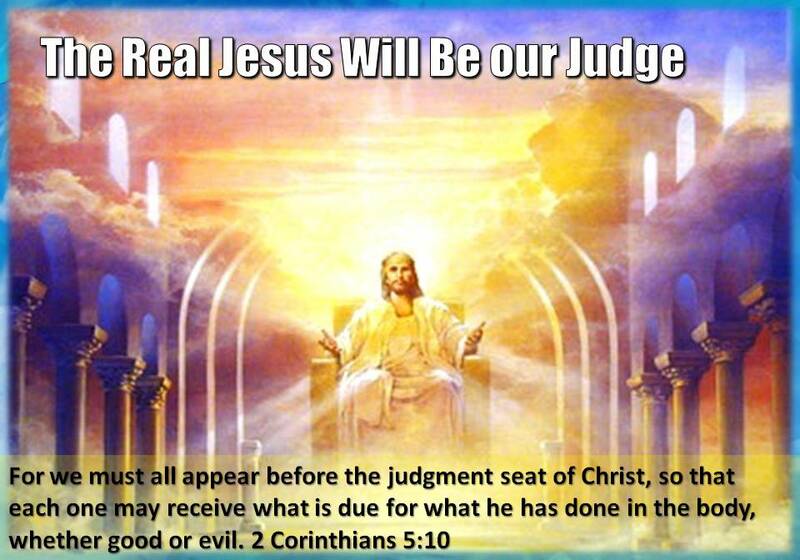 As our King, and as priests in that Kingdom, we will be judged by the standards that He has set, and those standards are revealed in the vision of the True Jesus that John saw. “and in the midst of the lampstands one like a son of man, clothed with a long robe and with a golden sash around his chest”. Revelation 1:13. John saw the SON OF MAN. “When John heard His voice, he immediately turned around and saw one like the Son of Man”. The Real Jesus still held on to His humanity. John described as the Son of Man, a title that Jesus gave Himself. This meant that He really was one of us, exactly like us. As the Son of Man, He was our redeeming kinsman, who came into our lost estate. Jesus Christ became flesh of our flesh, bone of our bone to redeem us to His Father. Every word speaks of Divine love, the breasts, the gold, the girdle. The girdle is the symbol of strength, of energy, of intention, of purpose. You mean business when you gird yourself. The robes are no longer flowing for leisure, loose for reclining. The girdle is golden, symbolic of the very nature of God who is love. The breasts or chest is the place of the Heart, the heart of Divine Love. The Real Jesus is the sum total of God’s Divine Love! We are called with this great calling — to be like the real Jesus. God’s desire is that we be brought into conformity with Him. What is true in Him has to be true in each of us, and in the body, the church. “Girt about at the breasts with a golden girdle”. There is to be a heart devotion and faithfulness to the real Jesus Christ! This is the real Jesus. How can this be? What about the nice Jesus with the children, or the footprints in the sand that become one set while he carries me? This Jesus in Revelations is frightening. John passed out when he saw him. How can that be the effect of Divine love? After all, we’re supposed to dance when we see Jesus! This is Lord all-terrible, not Lord all-loving! We have to change our concept of Divine ‘agape’ love. The real Jesus is real Love, but He must have our devotion. He must have our heart. Have you ever been disciplined by the Lord, your life, your dreams shattered, your soul being poured out like water on the ground? Afterward did you say, “You were right Lord, you knew what had to be done. It was a terrible experience, but you are faithful and true”. This is not judgment, this is not destruction, and this is not death and condemnation. The right hand is the token of honour, of favour. “Fear not; I am the first and the last.” “Everything is in My hands and in the end it will be all right; I took it up and I am going to finish it; fear not”. There was another man who, travelling on a road with hatred in his heart, and murder on his mind. He wanted to destroy Christianity, but instead his life, as he knew it was destroyed by the vision of the Real Jesus Christ. Did Paul describe Him as All-terrible, frightening, scary? No, Paul said in Gal 2:20, “He loved me and He gave Himself for me!” Far from a meeting with a terrible King, Paul met the lover of his soul. We need an “Extreme Makeover” of our concept of Divine love. It is not that sickly, sentimental thing we call love. It is not that I love you so much that anything you do is ok. This divine love is something tremendous. This Savior, this real Jesus, represents divine love that has our eternity in His heart. And that desire means He will deal with us faithfully for the betterment of that eternity. God’s divine love has the end in view. His job is not to be a babysitter, trying anything to get the baby to stop crying. Jesus Christ is our standard for eternity. If we set our eyes on the real Jesus, to be like Him, to live for Him, our eternity will be affected. The Real Jesus is Divine Love. But Divine Love is set on our eternity, not temporal comfort and riches that encompass the American Dream. Jesus message to the churches are on the basis of how they represent His character, His nature as seen in the vision of the Real Jesus. The messages and the churches are bounded by Ephesus and Laodicea. In Ephesus and Laodicea, the trouble is defective love. Ephesus, “thou didst leave thy first love”; Laodicea, “thou art neither hot nor cold.” Each church had failed to measure up to the real Jesus Christ. Each church failed to measure up to His standard of Divine Love. Jesus is the standard of judgment for the churches. Do you love the real Jesus? Or do you love a Jesus that fits into your dreams and desires and with your own ideas of what is best for your life? If your love is defective like that of the churches in Revelation, so will your concept of the Real Jesus be defective. The real Jesus is a picture of Divine Love. It is awesome, it is terrible, and it knocks you off your feet. It is not always loving in the sense we imagine. At times it is harsh. At times it seems cruel. His divine love is the basis for how we will be judged. Do you know the real Jesus? Do you know what real Divine Love is? Has your life been transformed by the Real Jesus? To the Ephesians Jesus says: “To the one who conquers I will grant to eat of the tree of life, which is in the paradise of God”. To the Laodiceans Jesus says, “The one who conquers, I will grant him to sit with me on my throne, as I also conquered and sat down with my Father on his throne”. Our earthly love for Jesus will be the basis of our heavenly reward and duties. So yes, following the real Jesus is a struggle, it is a fight, it is a discipline, it requires a steadfast desire to conquer, against all odds, but the rewards will be worth it all! As we study, see, and understand the Real Jesus Christ, I am praying that that we will understand true divine love, and how the real Jesus is the mark, the representation of how that love is to impact our lives. I am praying further that once we see the real Jesus and what He expects of us, our very lives will be changed as we determine to be followers of the real Jesus Christ. Henri Nouwen is a well-known Catholic Priest who authored over 40 books. Even though a Catholic, his books The Wounded Healer, In the Name of Jesus, The Life of the Beloved and The Way of the Heart are classics. He was sought the world over as a gifted teacher and speaker. Yet the last 10 years of his life, he gave it all up to work in a home that took care of severely retarded and handicapped adults. Nouwen has said that all his life two voices competed inside him. One encouraged him to succeed and achieve, while the other called him simply to rest in the comfort that he was “the beloved” of God. Only in the last decade of his life did he truly listen to that second voice. “I left the university and went to France. After a year in France, I was called to become a priest at the Daybreak Community in Toronto which is a L’Arche Community (the word L’Arche means the Arc of Noah) a community of about a hundred people, fifty handicapped people and fifty assistants. L’Arche is a community of mentally handicapped people and their assistants who try to live in the spirit of the beatitudes. So I went to Toronto”. The first thing they asked me was to work with Adam—of all names. I had to work with Adam! It sounded like working with humanity. Adam, a twenty-four-year-old man, was very, very, very handicapped. He couldn’t speak. He couldn’t walk. He couldn’t dress or undress himself. You never really knew if he knew you or not. His body was very deformed. His back was distorted and he suffered from continuous epileptic seizures. It took him nearly two hours to prepare Adam each day. Bathing and shaving him, brushing his teeth, combing his hair, guiding his hand as he tried to eat breakfast-these simple, repetitive acts had become for him almost like an hour of meditation. He had learned what it must be like for God to love us-spiritually uncoordinated, retarded, able to respond with what must seem to God like inarticulate grunts and groans. Indeed, working with Adam had taught him the humility and “emptiness” achieved by desert monks only after much discipline. He taught me that the heart is more important than the mind. … Adam didn’t think. Adam had a heart, a real human heart. I suddenly realized that what makes a human being human is the heart with which he can give and receive love. Adam was giving me an enormous amount of God’s love and I was giving Adam of my love. There was an intimacy that went far beyond words or far beyond activity. 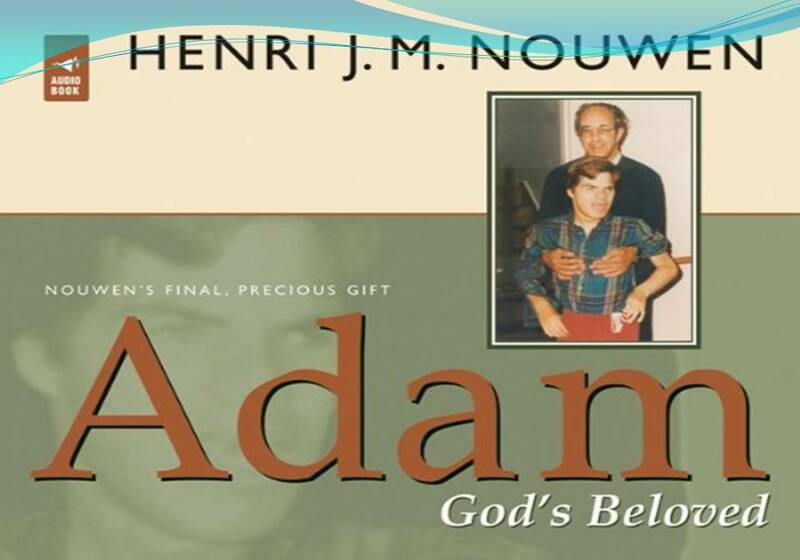 I suddenly realized that Adam was not just a disabled person, less human than me or other people. He was a fully human being, so fully human that God even chose him to become the instrument of His love. He was so vulnerable, so weak, so empty, that he became just heart, the heart where God wanted to dwell, where He wanted to stay and where He wanted to speak to those who came close to His vulnerable heart. Adam was a full human being, not half human or less human. I discovered that … God loves Adam very specially. He wanted to dwell in his broken person so that He could speak from that vulnerability into the world of strength, and call people to become vulnerable. R. Laird Harris, Gleason L. Archer, Bruce K. Waltke, ed., “267: ‏בָּצַע‎,” in Theological Wordbook of the Old Testament, (Chicago: Moody Press, 1980), WORDsearch CROSS e-book, 122. Spiros Zodhiates, The Complete Word Study Dictionary – New Testament, (Chattanooga, TN: AMG Publishers, 1993). Spiros Zodhiates, The Complete Word Study Dictionary – New Testament, (Chattanooga, TN: AMG Publishers, 1993), WORDsearch CROSS e-book, 230. Do You Pass the Test of the Golden Sash?